While it is freezing cold outside the last thing you want to do is to take off your gloves to use your smartphone. Avoid risking frostbitten fingertips while using your phone this winter by creating your own texting gloves that will work on touch screen devices, including a smartphone. Making your own smartphone gloves is a very simple DIY that you can do with your existing pair of gloves and a small amount of conductive thread which can be purchased for around $5.00 - $10.00 online or at speciality craft stores, which is much more affordable than the texting gloves available for purchase. Thread a needle with the conductive thread and tie the ends. Place the needles through the top of the index finger and pull through so that you end up with one single line stitch of the conductive thread. Add a few more stitches directly below the first stitch, cut off the excess thread and tie a knot at the end. Repeat this process with both gloves, and you text with more than one finger on each hand, add the conductive thread to those fingers on your gloves as well. If you are creating texting gloves for children consider being creative with your stitching design such as using the thread to stitch a smiley face or heart. Once the stitches are done wear your gloves and test out your new texting gloves. If the gloves are not working, add more stitches directly where the tips of your gloves touch the smartscreen. 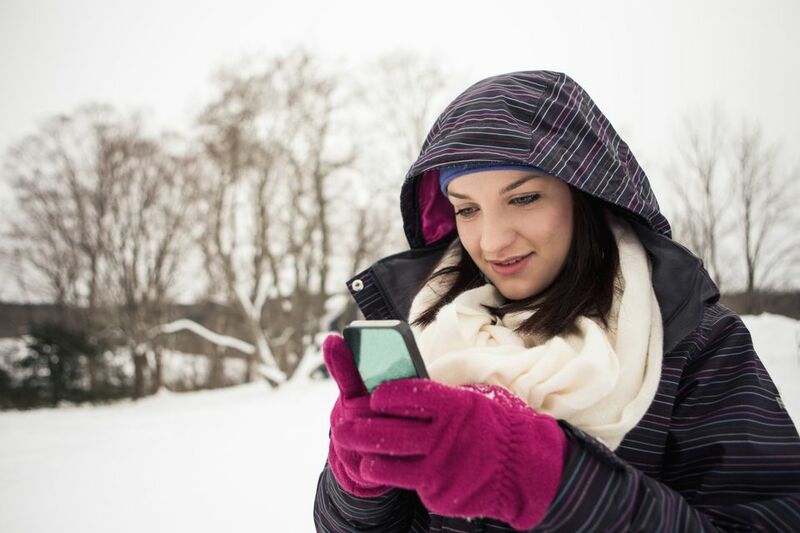 Enjoy keeping your hands warm while you text this winter!